Charlotte Kavanagh's beloved grandma Katarina Sanchez is gravely ill, so when she begs Charlotte to travel to her homeland in Andalucia to uncover the truth behind a mysterious painting, Charlotte agrees. Taking leave from her soul-destroying job and stalled life in Australia, Charlotte embarks on a quest through Grandma's ancient cobblestoned streets and vibrant neighbourhoods. There she meets Mateo Vives, a flamenco guitarist with a dark past, and quickly becomes entangled in the world of flamenco and gypsies, igniting a passion she had thought lost. But the mystery surrounding the painting deepens, reaching back in time to the war-torn Spain of the 1940s and Charlotte discovers her grandmother's connection to the Spanish underground. Who is her grandmother, really? What is Mateo's connection to her family history? And why is finding answers to this mystery turning into a journey of self-discovery for Charlotte? 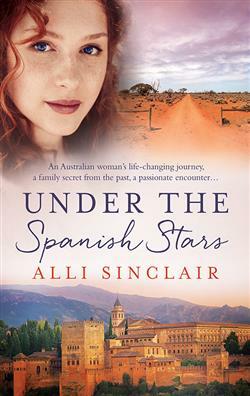 A fantastic read spanning three generations and many decades, it encompasses the political history of Spain and the beauty and mystery of the flamenco - and one woman's truth about her past. Can Charlotte unravel the mystery surrounding her grandmother's past before its too late?